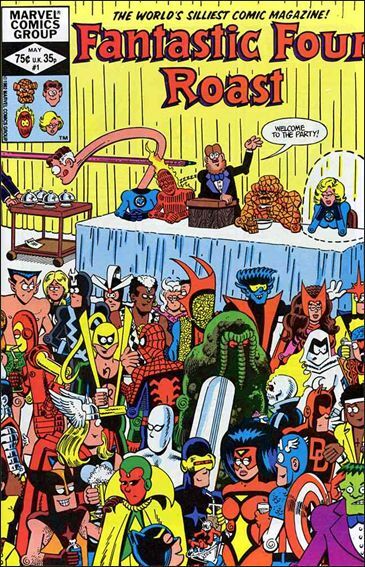 All of hallowed herodom turns up to pay barbed tributes to the World's Greatest Super-Team; the Fantastic Four. Even a few old foes call a truce long enough to say a few words. Throughout the banquet, however, someone tries to sabotage the event, via some nasty surprises in the menu. It's meant to give the FF more than heartburn. You'll never guess which of their extensive rogue's gallery is responsible.